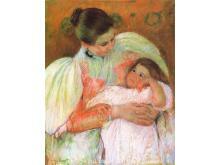 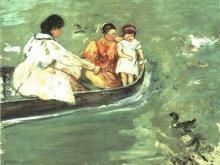 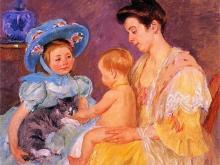 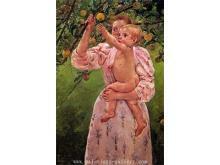 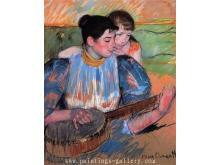 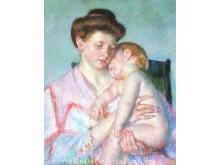 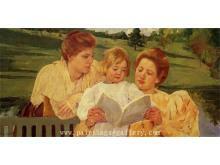 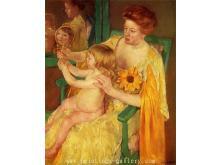 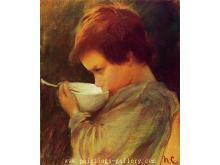 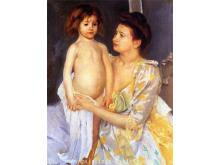 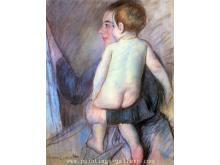 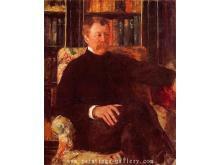 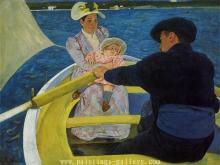 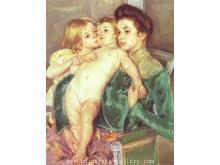 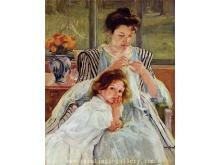 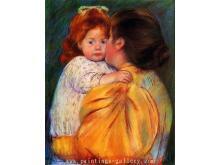 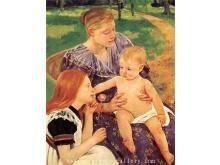 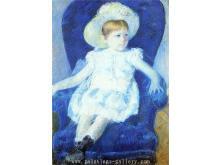 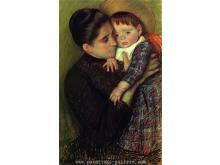 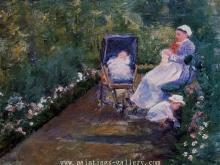 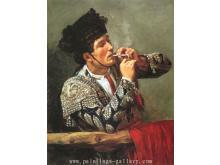 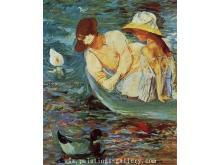 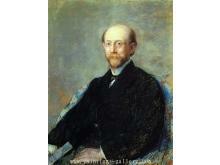 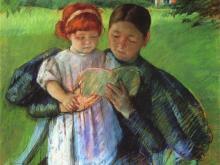 Mary Cassatt was born on 22 May 1844, death on 14 June 1926, was an American painter and printmaker. 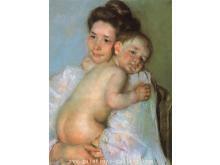 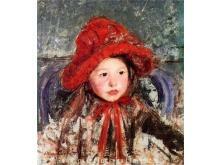 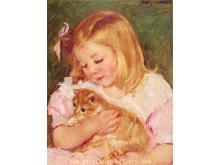 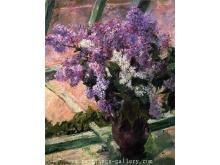 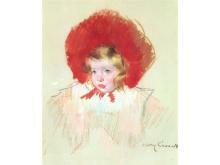 Cassatt was born in Pennsylvania, was the daughter of a banker and lived in Europe for five years as a young girl. 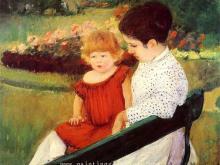 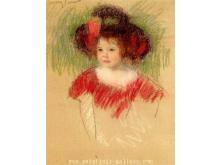 In 1874 Cassatt chose Paris as her permanent residence and established her studio there. 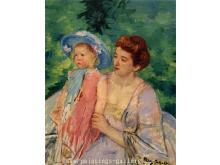 where she first befriended Edgar Degas and later exhibited among the Impressionists. 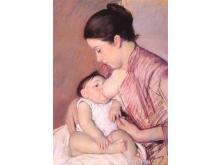 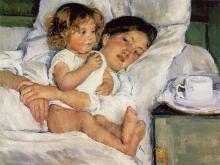 Cassatt often created images of the social and private lives of women, with particular emphasis on the intimate bonds between Mother and Child.